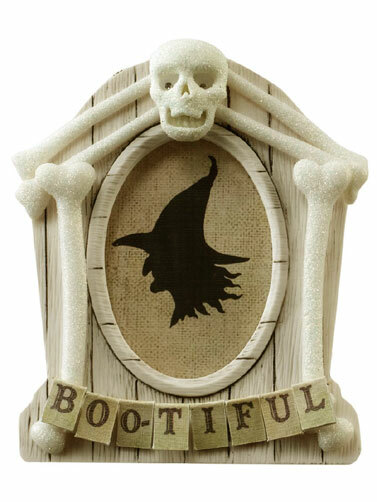 This handmade embellishment features a framed witch silhouette adorned by a glittered skull and bones. The letters BOO-TIFUL have been spelled out at the bottom. Features both a stand backing and adhesives for different uses. Paper and plastic. Jolee's Boutique® Bootiful Frame measures 4"H x 3.25"W.